Home » Welcome Georgian College Students! 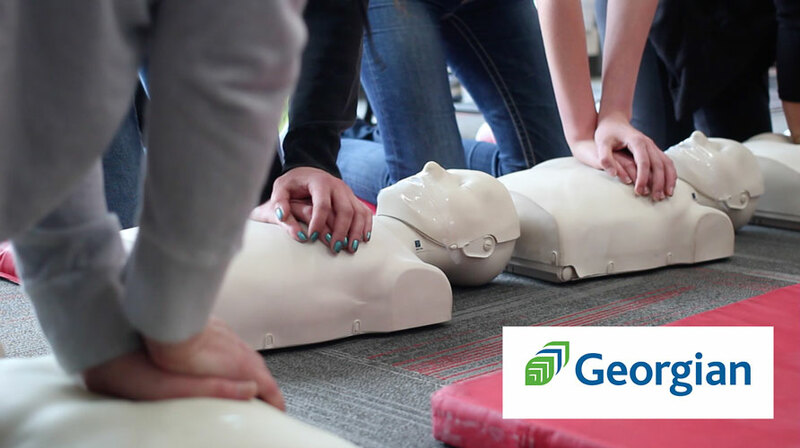 Now you can easily register for your required First Aid, and CPR/AED training. Use the Georgian College discount code “TAKEACTION” when enrolling to receive a student discount! Visa, Visa Debit, and Mastercard accepted. Location Training Dates Please note that some courses offered are over non-consecutive days. You only need to select the first day of the course when registering, but will be booked for all days.